How would you like to take a walk through history and experience the exciting and sights of a former time? 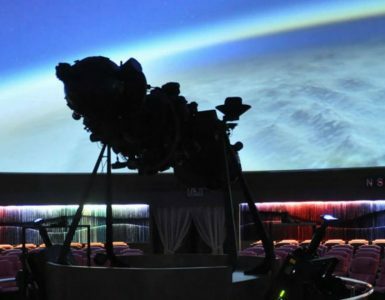 Many of us have daydreamed about such things. And spent moments of reverie pondering the possibilities of older times in an exotic land. 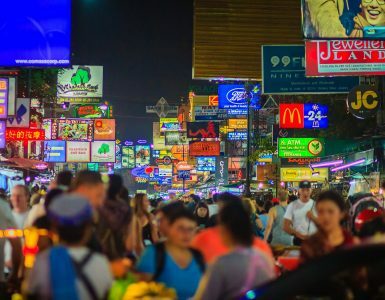 However, in the intriguing city of Bangkok, you can actually take such strolls and enjoy the presence of history all around you, still alive and carrying on as it has for decades, if not centuries. 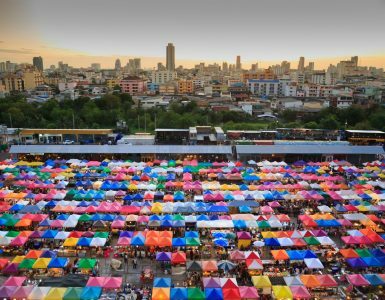 One of the oldest and most fascinating neighborhoods in the city, and one worth visiting for all these reasons and more, is Nang Loeng Market. Merely a few minutes’ walk from the city’s famous Democracy Monument, Nang Loeng Market is quite easy to find. And once you do, you will discover the feeling of community there, within a market that has existed since the year 1900. One of the most interesting, and if you love food as much as the Thais do, elements of Nang Loeng Market is definitely its fame as offering some of the most delicious comestibles in the capital. After you are inside, wandering the stalls and shops, it will feel as if you have been transported far away from the hustle and bustle of a modern city, where the residents are a mix of diverse cultures and Asian regions, including China, Cambodia, Vietnam, and Laos, as this fascinating area of Bangkok once was inhabited by different communities. In fact, you will feel immersed in an older time. Entering Nang Loeng Market, the sights, sounds, and smells of tantalizing dishes are literally everywhere. A culinary wealth of food vendors, street stalls, and restaurants can be discovered in every direction. And the history of all this is amazing! It is incredible to consider that a number of the vendors selling their treats at Nang Loeng Market have been passing their recipes down for generations, making these exact same dishes all along, some for over 200 years!